Broadwindsor School has been working hard to raise funds for a Multi-Use Games Area (MUGA). The MUGA will be sited at Broadwindsor School and will provide a safe, inclusive place for everyone from across the whole Grouped Parish area, to enjoy sport, meet people and have fun. 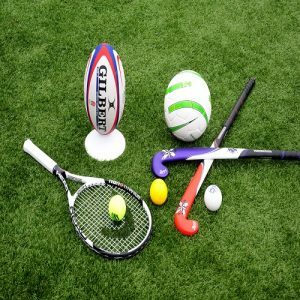 The proposed facility will be able to offer a wide range of sporting options including tennis, basketball, hockey, netball, football, bowls and badminton. The project has already received funding from the Parish Council, West Dorset District Council, the FMR Trust and from the National Lottery Awards for All Programme and is well on its way to meet its target. However, we do need to do a little bit more and with this in mind, we would like to invite the community to get involved and help. If you have any fundraising ideas or would like to set up your own fundraising event or even volunteer your labour please do get in touch. The Parish Council has now secured the loan of £20,000 from the Public Works Loan Board which will provide an additional source of funding to allow the MUGA to be built. The Council had planned for works to commence during the 2018 Summer holidays , but a few last-minute planning and legal issues have regretfully caused the start date to be pushed back. Frustrating as it is for all those involved with the project, the Parish Council is positive that these issues will be resolved shortly and that the MUGA project will go ahead.